Bannerman Landscape provides high quality commercial and residential services. With over 25 years of industry experience, we are dedicated to providing first class customer service and competitive pricing. Organization and prompt communication is very important us. Our valued return customers are important and responsible for our company’s success and growth since 2008. We specialize in sourcing high quality materials, installations, environmental work and landscape design. As a 100% women-owned entity, Bannerman landscape seeks to provide opportunities and compete on projects of all sizes. Our portfolio and references are always available for review. From original designs, installation and product knowledge, Bannerman staff have the expertise to deliver on- time and on- budget. We also specialize in drainage and irrigation. Bid packages may be faxed to 850.668.0768 or sent via email here. Thank you for your visiting our website. We would like to earn your business call us today at 850.668.1189. 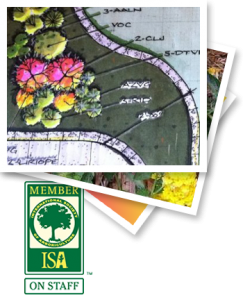 We offer full-service commercial landscaping plans for a wide range of clients. Need to enhance your home’s curb-appeal and increases value?